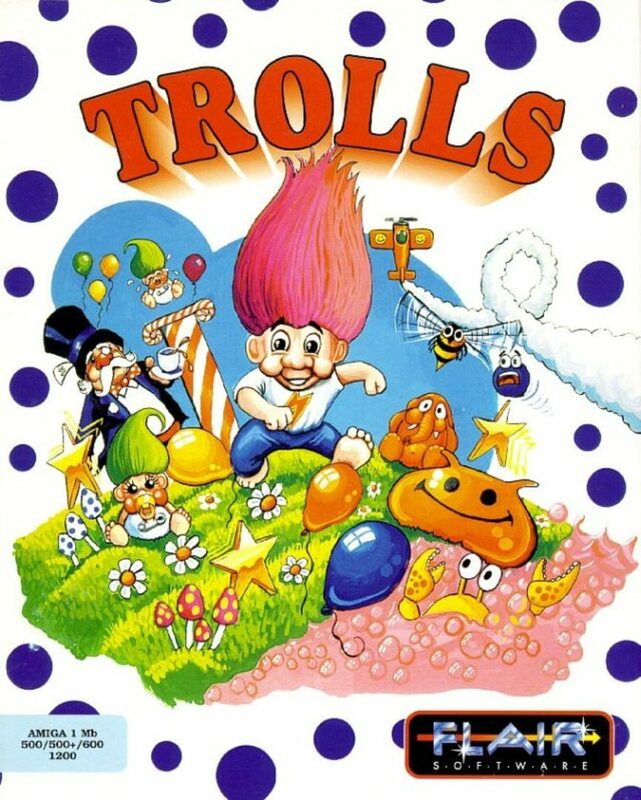 This platform game features the small blue-haired cutesy creatures that were popular around the time (although surely not with most computer game buyers?). You play a Troll roaming the levels in the hope of rescuing as many baby trolls as possible - each level gives you a set minimum to retrieve before you can leave via the Pigstop. Initially you have no weapons, and contact with the nasties costs you energy, but a Yo-Yo can be collected, which can be used not only to kill enemies, but also to smash blocks away and open up paths, and even (with practice) tied to a ledge to allow you to swing across a gap.